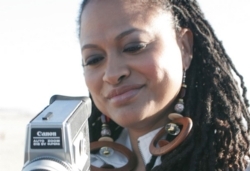 Ava DuVernay '90 becomes the first African-American woman to earn a "Best Director" nomination. Ava DuVernay, who directed Martin Luther King Jr. biopic Selma, became the first black female to be nominated for a best director Golden Globe on Thursday. But DuVernay, 42, says that on the morning of the nominations, she was focused on just one thing: hoping for a nomination for her star, David Oyelowo. “All I was thinking in my heart, truly, was 'Please just David, just David,' " she told THR. "This man put every ounce of his heart and spirit and mind, every piece of his DNA into this picture. That's all I wanted." Oyelowo, who was in Toronto with DuVernay on the morning of the nominations, did receive a nom for best actor, drama. And the Paramount film, about the civil rights marches of Selma, Alabama, received a nomination for best picture, drama. But it's DuVernay's own nomination for best director that is unprecedented. Only two other African-Americans, both male, have been nominated in the best director category at the Globes: Spike Lee in 1990 for Do The Right Thing and Steve McQueen in 2014 for 12 Years a Slave. You can find more on this article by clicking on the link below. 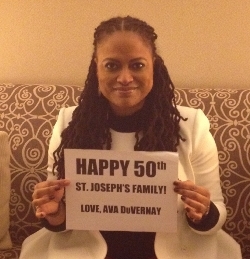 The Jester community congratulates our very own, Ava DuVernay on her nomination. Go Ava and Go Jesters!